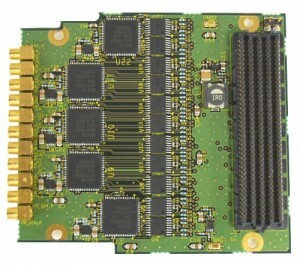 The RFM-DACNF05 is a five channel Digital to Analog converter FMC which complies with VITA 57.1-2010. Each channel provides 16-bit single-ended input and one DC coupled differential analog output with 1 – 500MHz sampling speed based on Maxim MAX5888A. A single-ended external input or output clock is provided. The direction of the clock is programmable from the FPGA of the FMC carrier board.